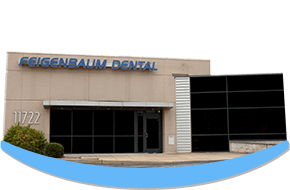 At Feigenbaum Dental, our patients are important to us. We strive to make dental care affordable and accessible for all patients because you deserve to benefit from superior dental services. Often, the cost of care is a leading reason people delay seeing their dentist. We do not want to see you place your dental care on hold. When determining our costs, there are several factors that are considered, such as the materials used and laboratory requirements. We offer many options to pay for your care. Your time in our office is valuable. To begin building a relationship with you and to better serve your needs, please complete the appropriate forms prior to your appointment. Yes. We are an in-network dentist for Delta Dental Premier, but we also work with out-of-network patients. We will help you maximize your dental benefits to keep your cost for care within your budget. We will file the necessary claims and work on your behalf to ensure you receive full reimbursement without any delays. If you are unsure whether or not a procedure is covered under your dental plan, we are more than happy to explain your dental benefits to you so you know exactly what you can expect to pay. However, please be aware that we are not responsible for how your insurance company decides to handle your claim, such as the procedures covered. We will do our best to help you understand the outcome of your claims while ensuring you maximize the value of your dental benefits. What If I Have to Pay Out-of-Pocket? Even with dental insurance, there may come a time where your benefits will not cover all your dental procedures. To help you pay for unforeseen costs, we offer several payment options, including third-party financing with CareCredit. This is also the ideal option for those who do not have dental insurance. CareCredit allows you to receive the care you need while paying a low monthly payment based on your credit approval. The financing can be used for an array of services, including preventive, restorative, and cosmetic dentistry. The services and procedures covered vary depending on your specific dental plan. In most cases, dental insurances will pay 100% of preventive and diagnostic care, including cleanings, checkups, and x-rays. You will also be given a yearly allowance to use towards restorative procedures. If you unsure what is covered under your individual plan, we will help you understand your benefits. At Feigenbaum Dental, we are always accepting new patients. We understand that you may have some questions or concerns about paying for your dental services. If you have any questions regarding financial information or need to schedule a dental appointment, please contact our office today. We look forward to providing you with the gentle, personalized dental care you deserve.